President Trump on Wednesday formally recognized Jerusalem as Israel's capital, saying it's time to "acknowledge the obvious" as he ordered the State Department to begin moving the U.S. Embassy from Tel Aviv to Jerusalem. “I have determined that it is time to officially recognize Jerusalem as the capital of Israel,” the president said during a speech in the Diplomatic Reception Room of the White House. The move fulfills a campaign promise made to religious conservatives. But it could also inflame tensions across the Middle East. Trump acknowledged the opposition from other countries in the Middle East to his decision, saying Vice President Mike Pence will be “traveling to the region” in the coming days. During his remarks, Trump emphasized he is still committed to a peace deal between the two sides. The U.S. would be the first country to move its embassy to Jerusalem, which is claimed by both Israelis and Palestinians. Other countries that have diplomatic relations with Israel keep their embassies in Tel Aviv. U.S. Ambassador to the United Nations Nikki Haley told Fox News' "The Story with Martha MacCallum" that Trump's decision was "acknowledging something that’s common sense to everyone." "The [Knesset] is there, the prime minister is there, the Supreme Court -- that is the capital," Haley said. "And by us putting the embassy there, that’s a U.S. decision." But the embassy move would not be immediate and could take at least three or four years. The U.S. officials said there are currently about 1,000 personnel in the embassy in Tel Aviv. They added that there is no facility in Jerusalem ready to serve as the embassy site, and it will take time to address security, design and cost concerns. “This will immediately begin the process of hiring architects, engineers and planners so that a new embassy when completed will be a magnificent tribute to peace,” Trump said. 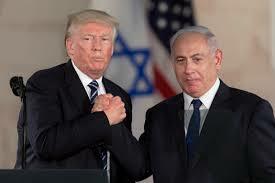 Israeli Prime Minister Benjamin Netanyahu, in a televised message, thanked Trump for what he called a “courageous and just” decision. He stressed there would be no change in the status quo at the holy sites and Israel will ensure “freedom of worship” for all faiths. Ahead of the announcement, Trump spoke Tuesday with Palestinian President Mahmood Abbas, Jordanian King Abdullah and Netanyahu. "Courage doesn’t come by doing what everybody else says," Haley told Fox News Wednesday night. "Courage comes by doing what you know is right. This is the right thing to do and what the president’s doing is he’s showing leadership." The controversy surrounding the move of the embassy dates back decades. A law passed in 1995 under the Clinton administration considers Jerusalem the capital, and even mandates the move of the embassy there. But the law allows for a loophole used by former Presidents Bill Clinton, George W. Bush and Barack Obama – an option to issue waivers every six months to delay the move from Tel Aviv. Trump also took advantage of the loophole, which Republicans have long called to be closed. Trump’s first waiver was signed in June, which drew praise from the Palestinians and some disappointment from Israel. The administration officials said Tuesday that Trump will still sign a waiver to keep from jeopardizing State Department funding while the relocation process begins.